Hotel Siret is located in the northern resort, about 50 m from the beach. We offer 76 superior double rooms 3 *** - building A, 84 standard double room 3 *** - Building B and 9 suites with modern design. 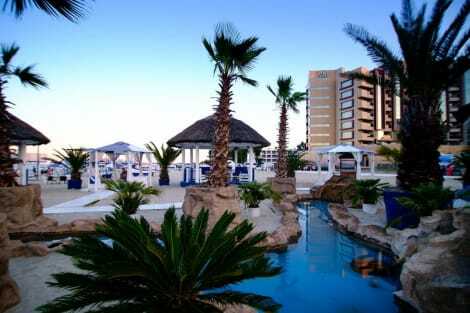 All rooms have bathrooms, new furniture, balcony, cable TV, LED TV, wireless internet, mini bar, telephone, air conditioning. All meals are served on the terrace or in the restaurant equipped with air conditioning. . Inside the hotel is the bar and the conference hall equipped with internet and air conditioning. Hotel Siret has parking. Pamper yourself with a visit to the spa, which offers massages, body treatments, and facials. If you're looking for recreational opportunities, you'll find an indoor pool and a fitness center. This hotel also features complimentary wireless Internet access, tour/ticket assistance, and a ballroom. Featured amenities include limo/town car service, a computer station, and complimentary newspapers in the lobby. Event facilities at this hotel consist of a conference center and a meeting room. Free self parking is available onsite. 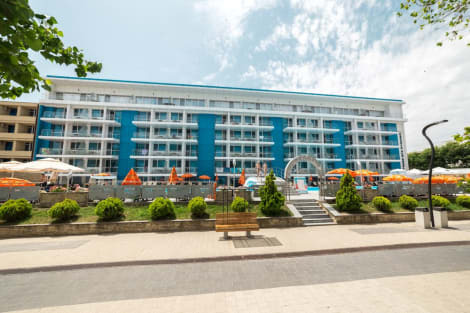 With a stay at Hotel Malibu Mamaia in Constanta, you'll be within a 5-minute drive of Mamaia Beach and Luna Park. 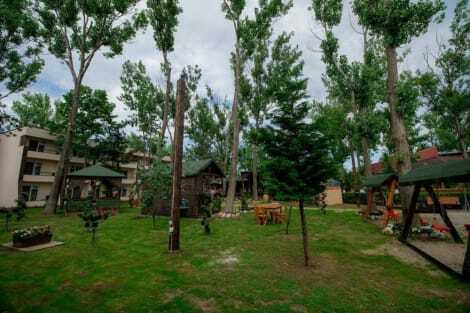 This 4-star hotel is 0.7 mi (1.1 km) from Mamaia Cable Car and 0.7 mi (1.1 km) from Mamaia Aqua Magic. Satisfy your appetite for dinner at Bavaria Blu Restaurant, a restaurant which specializes in international cuisine, or stay in and take advantage of the room service (during limited hours). Buffet breakfasts are available daily from 7:30 AM to 10 AM for a fee. With a stay at Central Mamaia in Constanta, you'll be within a 10-minute drive of Mamaia Beach and Lake Siutghiol. 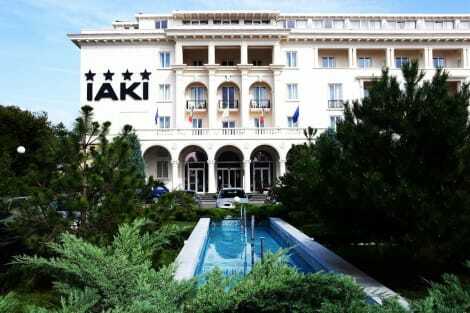 This hotel is 2.6 mi (4.1 km) from Ovidiu Island Pier and 2.7 mi (4.3 km) from The Royal Villa of Mamaia. This property is conveniently located in Constanta - Navodari . Hotel was built in 2013. Hotel underwent renovation in 2015. There are a total of 180 rooms on the premises. The property consists of 120 single rooms, 120 double rooms, 14 suites, 14 apartments, 120 triple rooms, 2 executive rooms and 22 family rooms. The Hotel is ideally situated in the city centre. The nearest bus and metro stops are within walking distance from the Hotel . The Hotel is located a few minutes away from the airport. The Hotel is just a stone's throw away from the beach. The property is within walking distance from the harbour. Guests may take advantage of the on-site car park. Take advantage of recreation opportunities such as a seasonal outdoor pool or take in the view from a terrace and a garden. Additional amenities at this hotel include complimentary wireless Internet access and a banquet hall. With a stay at Hotel Florida in Constanta, you'll be within a 5-minute drive of Mamaia Beach and Lake Siutghiol. This romantic hotel is 0.2 mi (0.3 km) from Arenele Idu and 0.6 mi (0.9 km) from Mamaia Aqua Magic. lastminute.com has a fantastic range of hotels in Mamaia, with everything from cheap hotels to luxurious five star accommodation available. We like to live up to our last minute name so remember you can book any one of our excellent Mamaia hotels up until midnight and stay the same night.